2. Select Degree Seeking, Non-Degree Seeking, or International Applicant to begin the application process. 3. You will then be taken to a page to fill out your Account Profile. Click Submit to continue on to the next page. 1. 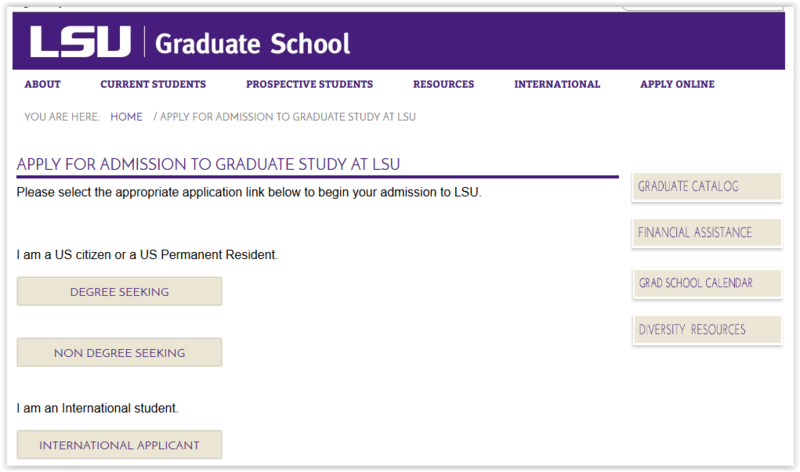 From the Grad School page, select Check Your Application Status on the Prospective Students tab. 2. Enter the PIN and Password that was issued to you by the LSU Graduate School. 3. 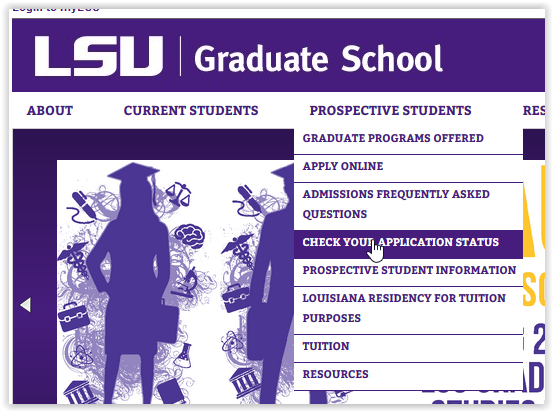 You will then be directed to a page which will tell you the status of your application to the LSU Graduate School. * Documents are usually loaded within 48-hours of receipt. Note that this timeframe will vary significantly during peak application periods and after major holiday breaks due to volume. * You will not receive paper correspondence from the LSU Office of Graduate Admissions. All messages regarding your application will be conveyed via this website. * Be sure to retain your login id and password. You will need these to see the status of your application.